I have at least 5 vestiments that I would like to delete however there is no option. ;There is only equipt and show option. ;I don\'t want to do either I would like to burn them and use it for furtalizer to grow poison and feed that to drama. ;However I would be happy to just delete the useless $hit. Let me know when this would be looked into. 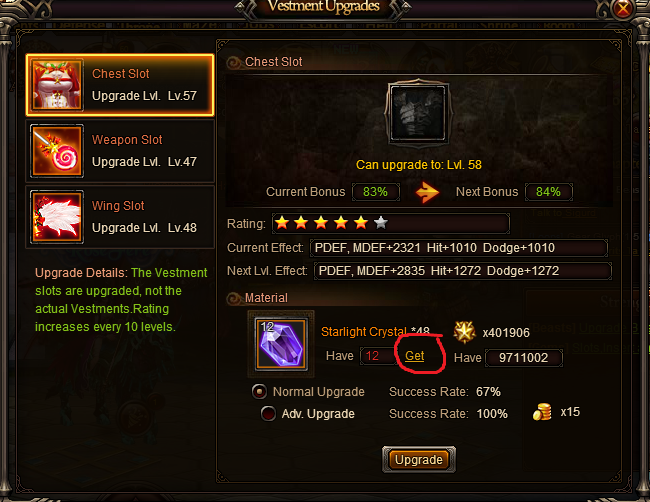 You can actually resolve your old vestments so you can convert them to crystals. It can be found in you vestment menu. I did not know that was available or even there. This solved my issue. 2019-4-19 23:05 GMT+8 , Processed in 0.049578 second(s), 38 queries .